As health plan deductibles and monthly premiums continue to rise, the increasing financial obligations patients have is something all medical practices need to be aware of. While not all patients will be able to make their full payment up front every time, practices simply can’t afford to forego attempts to collect patient payments. It’s estimated by Medical Economics that 33 percent of a practice’s revenue comes directly from patients, so medical practices that want to stay financially sound need to pay attention. How can your practice strike that delicate balance of collecting payment in a way that preserves the practice-patient relationship? Here are four simple steps to impact this delicate—but critical—part of your practice’s financial health. 1. Make eligibility verification part of the patient check-in process. Without verifying a patient’s coverage, including how much of their deductible has been met, your practice won’t know what to collect—or if there is anything to collect from the patient. Failing to verify eligibility can also hurt the practice-patient relationship. This is one major cause of patient’s receiving unexpectedly high medical bills, which can lead to eroded trust. By checking eligibility, you know when something isn’t covered, and you can let the patient know how much they’ll need to pay. Willimantic, Conn.-based The Foot Group increased their rate of eligibility verification by almost 6 percent within one month simply by making this a focus. 2. Attempt to collect payments at the time of service. As patient financial obligations continue to increase, practices shouldn’t expect every patient to pay their balance in full every time. That said, it’s worth trying. Each patient should be asked to pay in full when they come in. If they can’t, your practice will need to send statements. Many practices only send statements once a month, which creates a delayed billing process and increases the time it takes to collect patient balances. Instead, statements should be processed daily and sent within three days of the claim adjudication. The longer it takes a patient to receive a bill, the less likely your practice is to collect at all. According to the Healthcare Business Management Association (HBMA), there’s less than a 30 percent chance of collecting money from a patient if that balance reaches 90 days. 3. Implement new technologies that improve the patient experience. Just five years ago, healthcare and technology were not as intertwined as they are today. As consumers experience more comprehensive technology in every area of their life, they are beginning to demand the same in healthcare. It’s easier than ever for practices to implement technology that allows the patient to check-in via their smartphone or with a tablet in the office as well as pay their past due balance through either of those methods. Check-in stations make the process much quicker and less painful. Practices that implement new digital check-in technology have the most success getting patients to embrace the new system by removing the option of checking in with paper altogether. When patients have the option of paying with their preferred method, whether that’s credit card, debit card, HSA, or cash, the proof is in the numbers. We’ve found patients are often more likely to pay past due balances if they have access to the types of technology they use in every other aspect of their life. Patients aren’t the only ones who benefit from new technologies. Less paperwork reduces stress on physicians and staff—and cuts down on those after-office hours that contribute to burnout. 4. Analyze your staffing roles and responsibilities. Increasing patient financial obligations can necessitate a change in your staffing requirements. As more responsibilities arise, you may find that your practice is understaffed and not capable of handling the increased demands and effort that need to be put on the front end to collect patient’s money. Analyzing your practice staff is important to ensure you have appropriate staffing levels as well as high-quality staff in every role. Part of this analysis is to ensure you have the appropriate staffing competence for each role and responsibility. For example, entering medications, past medical history, and allergies are all time-consuming tasks that take up the time of highly competent staff away from tasks that are more critical. Using technology to handle low-skill, low-value tasks can also allow staff the time they need to follow up on claims, pre-certify insurance coverage, and check authorizations. These are the things that will lead to fewer aging patient balances and a happier staff. Patti Peets is senior director of revenue cycle management for cloud-based software provider CareCloud and Karla Scanlon, DPM, sees patients at The Foot Group in Willimantic, Conn. 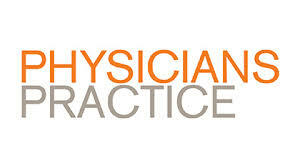 This article originally was published in Physician’s Practice.